A few months ago, when I started using Codeship I didn’t realize how more worry-free my designer/developer life could be. I came across Continuous Integration testing a year ago when I started to work on a big social network application (TrustedFamily). There were already 3 developers working on different features. Due to code security policies we were using Jenkins CI. Around that time I started to build, as a side project, a musicians searching app called (Emuzikos). As a musician I always thought that musician forums were a pain when it comes to searching for other people and as a designer/developer I found that building an app would be more gratifying and easier to maintain than an constantly outdated portfolio. Working on a side project also means you have small chunks of time to work on your app. Here more than ever the agile methodology make sense: split your project’s tasks into small and isolated ones that match the time frames you’re working in. Ideally you want to test each of these small releases, so when you push your code you make sure you don’t break the entire app. Here is the workflow I’ve put in place to optimize my output. I recently discovered Spinach: a BDD framework written in pure Ruby that features encapsulation and modularity of your step definitions. I used to work only with RSpec and steak but felt that I was missing some clarity about what the app is supposed to do at a glance (and other reasons described here). I wanted to switch to a gherkin style integration testing framework. So for each feature that I build, I write an integration test that describes the big picture. Coming from RSpec you, at first, often tend to replicate the capybara steps in gherkin, which leads to unreadable specs and makes them impossible to transmit to any shareholder or even yourself when you have to fix bugs. It’s also very tedious to maintain because you have to change the code at two places each time you change a class or some text. In order to gain some time when writing code that incrementely makes the tests pass, I’m using Zeus to preload the rails environment or more technically: Zeus is a language-agnostic application checkpointer for non-multithreaded applications. That in addition to Livereload is a must! As your test suite grows you don’t want to wait for all your tests to pass locally before committing something. 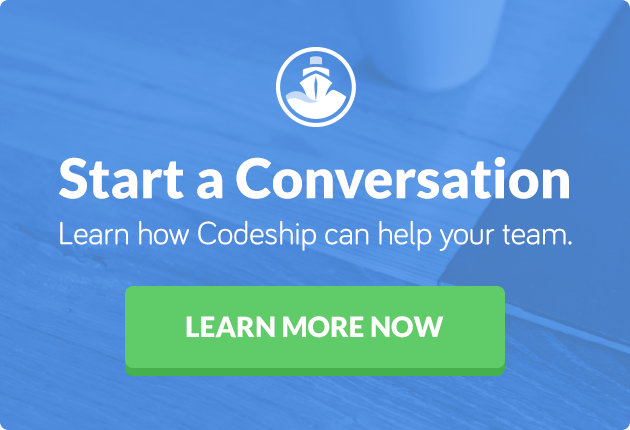 That’s where Codeship becomes a very useful tool. git commit -am "Fix the tests"
let Codeship deploy for you. Continuous integration really makes it easy to find out which commit broke your app and quickly revert your code to the previous one. Also, If you work using git-flow you can create release branches, test them and deploy them separately, allowing you to make last fixes while other developers can continue working on new stuff. 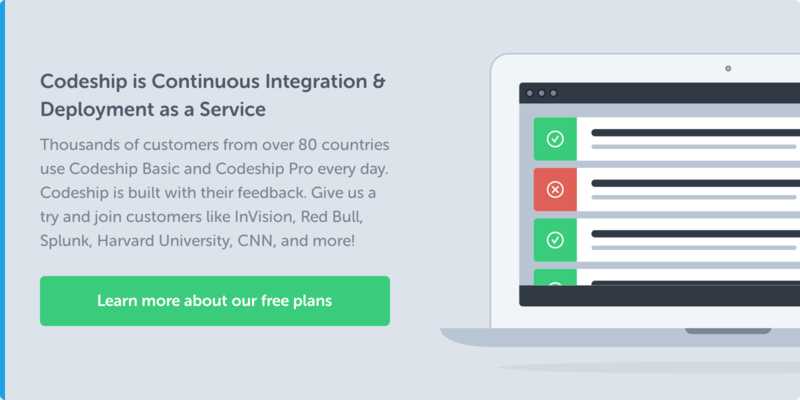 We want to thank Boris for his blog post and are glad he is a happy Codeship users. How do you develop your app? Let us know which services and tools you use to speed up your processes in the comments!